Our coverage round-up comes from our lovely health client, MedExpress today. 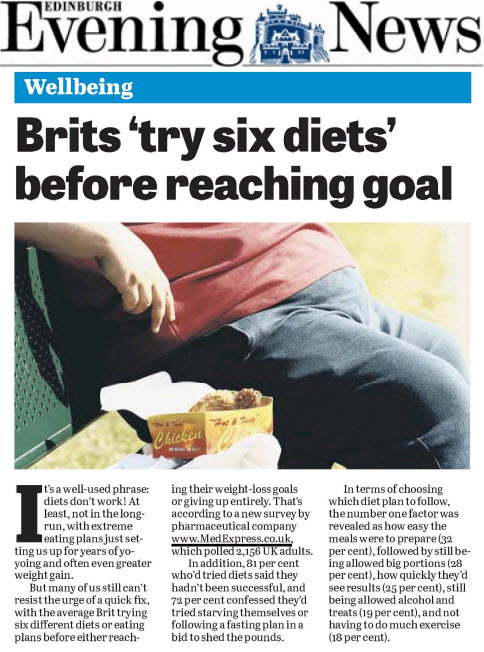 They received some great coverage on the back of one of their studies which found that Britons will try an average of 6 diets before reaching their weight goals or just giving up dieting completely! 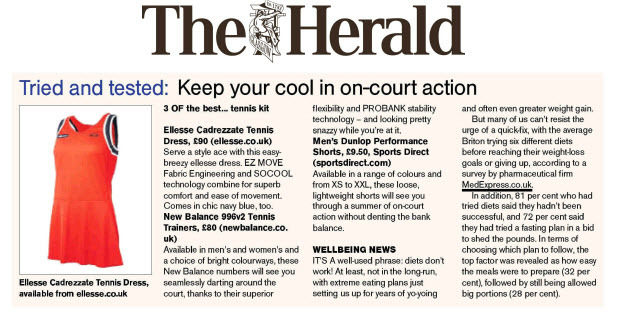 Below is the coverage as it appeared in the Edinburgh Evening News and The Herald.